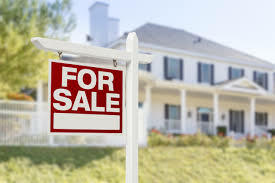 The South Shore's choice for real estate law. And that dynamic, coupled with hot demand in a growing economy, is keeping home prices high and making it hard for young families to find a foothold in the housing market. That’s the gist of the 15th annual Greater Boston Housing Report Card, which the Boston Foundation is publishing Tuesday. The author of the longstanding study, Northeastern University economist Barry Bluestone, may be forgiven for sounding repetitive. He has hit on some of the same themes in his last few annual reports — namely, that Boston is carrying the brunt of the region’s housing needs. Yet even so, working families are being priced out by graduate students and young professionals, while too little is being built in more-affordable areas. The report found that cities and towns around the region are on track to issue about 13,000 building permits for houses and apartments this year. That would be down 5 percent from the peak in 2015, but higher than in any other year in the past decade. 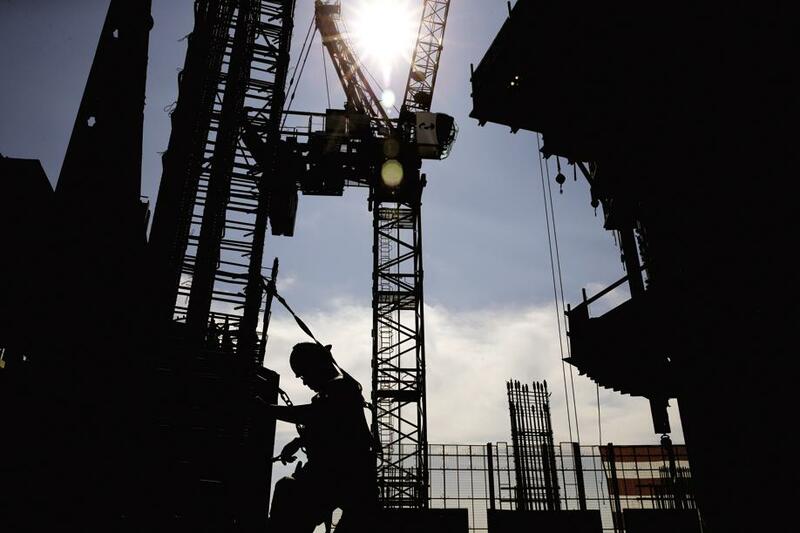 But more than four in 10 of those permits were issued by Boston alone, and the city’s share of the region’s construction has nearly doubled since 2012. The administration of Mayor Martin J. Walsh has made housing a top priority, with a goal 53,000 additional units by 2030. 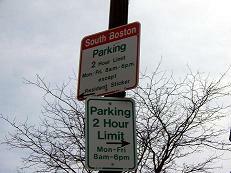 Boston officials rapidly cut down on the time they take to issue permits, the report said, with the average apartment building needing four months to get through the process, compared to 14 months three years ago. And despite the flood of graduate students and young professionals drawn to universities and jobs here, the housing units that have been built over the past few years are starting to have an impact. The report is the latest to point out that rents have fallen slightly over the last year — though some critics say the decline means little to most residents, given the already high cost of housing here. The bigger housing crunch right now is in the suburbs, Bluestone said. While a handful of towns — from Plymouth to Framingham to Chelmsford — have added large amounts of housing in the past few years, most towns near Boston have added very little, especially in the form of modestly priced apartment and condo buildings. That’s a mistake, Bluestone said, and one that many towns will realize only when aging baby boomers want to sell their single-family homes but have nowhere smaller to move to. Those folks will either stay put, which will prevent needed housing from coming onto the market, or uproot entirely and leave the area for a lack of somewhere suitable to live. This is an argument that Bluestone, the Boston Foundation, and other housing advocates have been making for years, with little change at the State House or in many town halls, where development decisions get made. Business leaders have grown increasingly concerned that housing prices are an obstacle to economic growth in Greater Boston, and some worry that they would surge even higher should, for instance, Amazon decide to locate its massive “second headquarters’’ in Boston. It’s past time, he said, for a concerted effort by political and business leaders to encourage the construction of more housing — of all types — in the suburbs. This entry was posted in Blog Posts on November 29, 2017 by fitzlawboston. 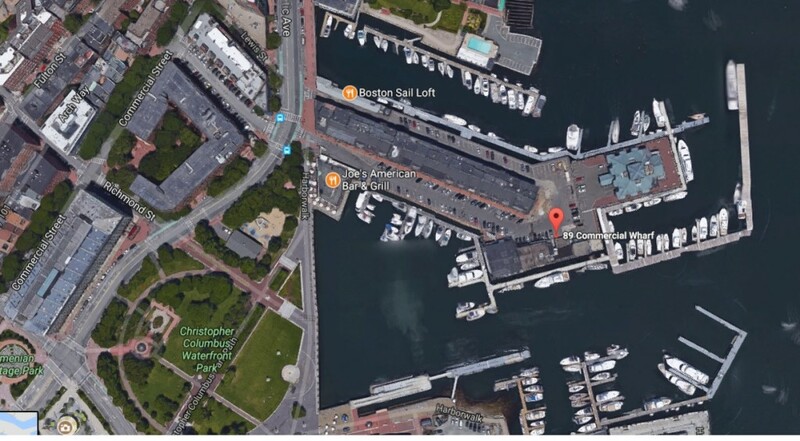 A Bahamian investment company has acquired a 90 percent interest in two parcels for $10 million on Commercial Wharf in Boston’s North End, where it’s signaled an interest in a “complex redevelopment plan” including the nearby Joe’s American Bar & Grill restaurant site. Founded by 80-year-old British businessman Joseph Lewis, whose net worth is pegged by Fortune at $5.7 billion, Tavistock Group owns hundreds of companies and properties globally, including the Premiere League soccer club Tottenham Hotspur. Lewis’s 250-foot yacht, the Aviva, was spotted docked at the neighboring Boston Yacht Club marina in 2013, according to a North End Waterfront report. Tavistock Group acquired two properties at 88-89 and 90-91 Commercial Wharf East on Nov. 8. The parcels totaling 15,834 square feet contain a pair of mixed-use buildings. Atlantic Waterfront LLC, a company affiliated with Tavistock Managing Director Jefferson Voss, paid $5.6 million in 2011 for a 9,109-square-foot parcel at 100-104 Atlantic Ave., which contains the Joe’s American Bar & Grill restaurant. Tavistock’s website states the company has a “complex redevelopment plan” in store, including redevelopment of the existing restaurant and new public spaces and walkways connecting to the Commercial Wharf Pier and Christopher Columbus Park. The wharf also includes the separately owned 100-slip Boston Yacht Haven Inn & Marina property, acquired by Newburyport developers Charles and Ann Lagasse in 2007. The Lagasses renovated the inn’s guest rooms and added 30 slips capable of accommodating mega-yachts up to 225 feet, according to published reports. This entry was posted in Blog Posts on November 14, 2017 by fitzlawboston. 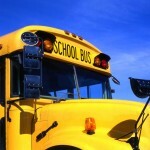 Does building homes crowd schools? 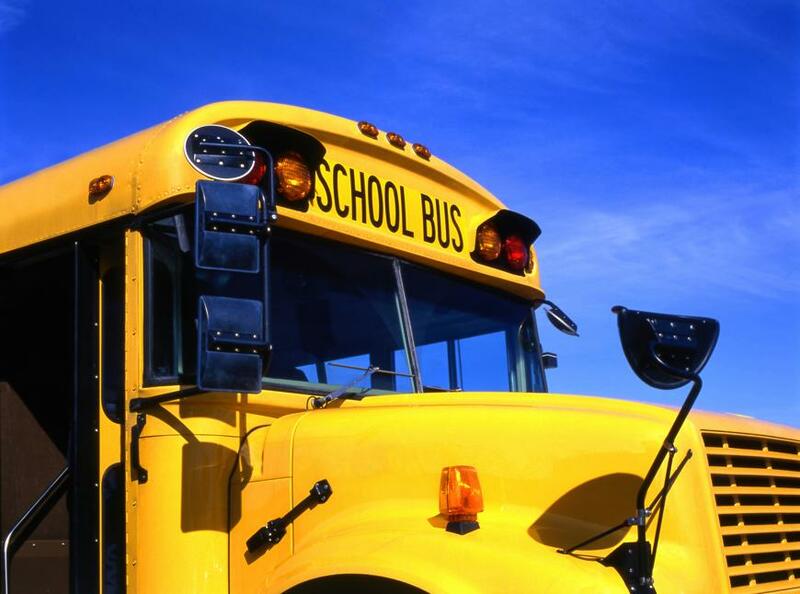 Enrollment was down 7 percent in 23 “developing’’ suburbs, such as Ipswich and Franklin, and 3 percent in 43 “maturing’’ suburbs, including Acton and Braintree. “Building apartments is not what causes kids,’’ Draisen said. This entry was posted in Blog Posts on November 7, 2017 by fitzlawboston. Those futuristic cities you see in sci-fi movies? Where traffic lights miraculously turn green, parking spaces are easy to find, and sidewalks that melt snow? One is starting to take shape on the South Shore. The old South Weymouth Naval Air Station, a sprawling site being redeveloped into a new community known as Union Point, will become a test lab for General Electric’s far-flung ideas for “smart cities’’ of the future. Boston-based GE has signed a deal with the project’s developer, LStar Ventures, to install experimental technologies in street lights, power equipment, and other urban fixtures as the 1,550-acre property gets built out. Sensors on lights could monitor traffic and direct drivers to less-congested routes or available parking, for example, or digesters could turn waste from restaurants into energy and fertilizer for rooftop farms. The new deal with GE was highlighted in the proposal LStar just submitted to Amazon to host the online retailing giant’s second headquarters on a 100-acre section of Union Point. The GE name also provides LStar with an instantly recognizable brand as it markets Union Point — which straddles the Weymouth, Abington, and Rockland borders — to other commercial tenants and housing developers. The marketing materials for Union Point show a gleaming city rising above a suburban flatland. But so far, only a small portion of the vast site has been redeveloped. About 850 housing units are occupied right now, with about 2,000 residents living there. But that represents less than one-quarter of the site’s potential for residential development. LStar chief executive Kyle Corkum said his plan also envisions at least 10 million square feet of commercial development, spread among dozens of buildings. LStar expects to break ground on its first new commercial building, a robotics factory for Prodrive Technologies, in November. It’s still early in the GE-LStar relationship; the companies don’t yet know which GE technologies will be tested or put to use in LStar’s burgeoning mini-city. GE’s relatively new lighting and energy startup, called Current and also based in Boston, likely will be involved, in part to install “smart lighting’’ on Union Point streets. LStar hopes to harness GE’s renewable energy technologies as well. For example, GE could develop ways to convert food waste at the site into electricity, through anaerobic digestion plants, and into fertilizer for rooftop farms, where produce would be grown for Union Point residents. Wind turbines and solar panels — made or installed by GE — would serve residents and businesses there. GE may also build a backup power system, tapping into a gas line through the Union Point property. Meanwhile,through another one of its engineering firms, Corkum said LStar is exploring new technologies that could be used to melt snow on sidewalks. This fall, Corkum said LStar will start installing GE sensors in street lights at Union Point. These sensors, which can track how many vehicles are on the streets and how fast they’re moving, have the potential to direct drivers to less-congested streets or to open parking spaces. GE has worked with other communities to roll out “smart city’’ technologies, including street light projects in Jacksonville and San Diego. But Abby Abel, global director of GE’s Ecomagination group, said the LStar arrangement involves many more of GE’s various business lines than those used in previous municipal partnerships. One question that looms over the new GE-LStar partnership: What will GE chief executive John Flannery’s cost-cutting moves mean for its future? Flannery, who became CEO in August, is in the process of identifying billions of dollars worth of businesses to be spun off, and at least $2 billion in expense reductions. Flannery is scheduled to unveil his plans in November. Corkum said he doesn’t expect Flannery’s budget review to negatively affect the research the company will do at Union Point. Nick Heymann, an analyst with investment bank William Blair & Co. who follows GE closely, said it can be tough for GE and its peers to integrate these technologies into fully built cities where utilities and other systems have been installed over time. The cities were not designed to be interconnected. “Taking existing cities and retrofitting this capability for them to ‘become smart’ is a challenge,’’ Heymann said. But places such as the South Weymouth air base offer a blank canvas. “You almost start with a fresh sheet of paper,’’ he said. Sean Becker, a former manager with GE’s energy division, said he sees a number of ways the LStar-GE relationship could benefit both companies, particularly because of Union Point’s close proximity to GE’s Boston operations. This entry was posted in Blog Posts on October 30, 2017 by fitzlawboston. Legendary Sox catcher and former team captain Jason Varitek and his wife, Catherine Varitek, closed on an $1.8 million home in Hingham’s Residences at Black Rock earlier this month. Varitek played two summers with the Hyannis Mets in the Cape Cod League, then spent his entire major league career (1997-2011) with the Boston Red Sox wearing the number 33. The three-time All-Star helped the Sox bring home two world championships and has played in more post-season games than any other Red Sox player in history. The 138 residences at Black Rock overlook the fairways of the Black Rock Country Club. Residences have access to the club’s swimming pools, fitness rooms, luxury clubhouse, tennis courts, and other amenities. While the interiors of residences are personalized, the exteriors feature cedar shingles, mahogany decks and brick walkways. Varitek is currently an assistant to Dave Dombrowski, the Red Sox’s president of baseball operations. If you’re buying or selling you’ll get hall of fame worthy representation from Fitzgerald Law Offices. Call us today. 781-924-5326. This entry was posted in Blog Posts on June 21, 2017 by fitzlawboston. Numerous local businesses and two chambers of commerce have gone on record in favor of a June 19 Hanover Special Town Meeting article that, if approved by voters, would grant the Hanover Mall a tax increment financing (TIF), allowing the new owners of the mall to redevelop and revitalize the 46-year-old shopping center. Generally, a TIF allows municipalities to divert future property tax revenue increases from a defined district – or in this case, a property – toward an economic development project. Since PECO Real Estate Partners (PREP), the new owners of the Hanover Mall, and its Hanover-based management team began meeting with local officials and community members to discuss the TIF proposal, several businesses and organizations have gone public in their endorsement. The Hanover selectmen voted unanimously in support of the TIF on May 24, as has the planning board, at a meeting on June 6. 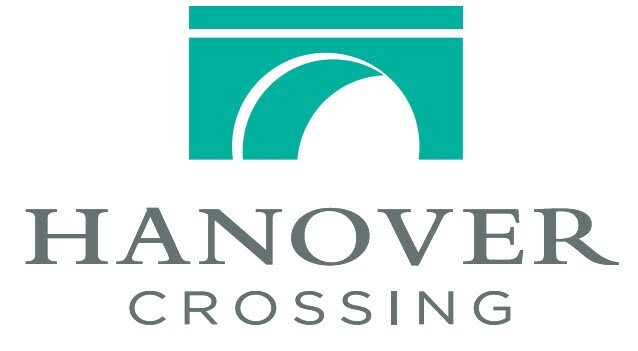 PREP contends the TIF is necessary to complete the redevelopment plan for the mall to become “Hanover Crossing,” the proposed name for the redeveloped property. Under the terms of the proposed TIF, PREP will commit to investing a minimum of $40 million in redeveloping the mall – which is the town’s single largest taxpayer – while maintaining the level of property tax payments annually based on its purchase price. PREP has agreed to pay real estate taxes based on its purchase price of nearly $40 million, prior to and during the construction period. In recent years, its assessed valuation has declined. The TIF agreement would stop that slide while allowing the owners the time to invest in improvements and attract new tenants. The redevelopment will provide an estimated 700 full-time, part-time and construction jobs; under the agreement, PREP is required to use best efforts to hire Hanover residents. “We look at this article as a ‘win-win,’ since it will move the Hanover Mall revitalization forward, as well as provide the community a stable tax payment over the next 15 years,” Hanover Mall General Manager Ed Callahan said in a statement. This entry was posted in Blog Posts on June 8, 2017 by fitzlawboston. The Fed’s decision yesterday to inch the federal funds rate upward signaled its cautious confidence in the U.S. economy, but it ruffled few feathers in the Massachusetts real estate market. In remarks to reporters following the Fed’s announcement that it would raise the federal funds rate to between 0.75 percent and 1 percent, Chairwoman Janet L. Yellen said the decision “does not represent a reassessment of the economic outlook” and signaled that the Fed would most likely pursue gradual increases to the federal funds rate. “Today’s decision also reflects our view that waiting too long to scale back some accommodation could potentially require us to raise rates rapidly somewhere down the road, which in turn could risk disrupting financial markets and pushing the economy into recession,” she said. The stock market reacted to the Fed’s announcement with enthusiasm, though bankers were a bit more tempered in their reactions. Several banks, including Citizens, Citibank, BB&T and M&T Bank, raised their prime lending rates from 3.75 percent to 4 percent. The Massachusetts real estate market is unlikely to feel much impact from the rate increase. It is, after all, just 25 basis points and in the grand scheme of things, rates are still around historic lows. And local lenders, many of whom have seen the longest refinance boom of their careers, have been shifting their focus to the purchase market for some time. Rates weren’t going to stay this low forever. Chip Poli, founder and president of Poli Mortgage in Canton, wasn’t especially surprised by the Fed’s decision. Where his own business is concerned, Poli said he’s seen some potential buyers moving a little bit faster in anticipation of future rate hikes, and he even had a few customers trying to lock in rates ahead of Wednesday’s announcement. 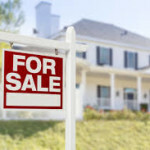 This week’s rate increase means that some buyers will have a little bit less purchasing power than they might have a year ago, but he doesn’t see this latest increase shaking many buyers out of the market. This entry was posted in Blog Posts on March 16, 2017 by fitzlawboston. Jimmy Buffett’s always been quite the entrepreneur, and now he’s getting into the business of senior housing. 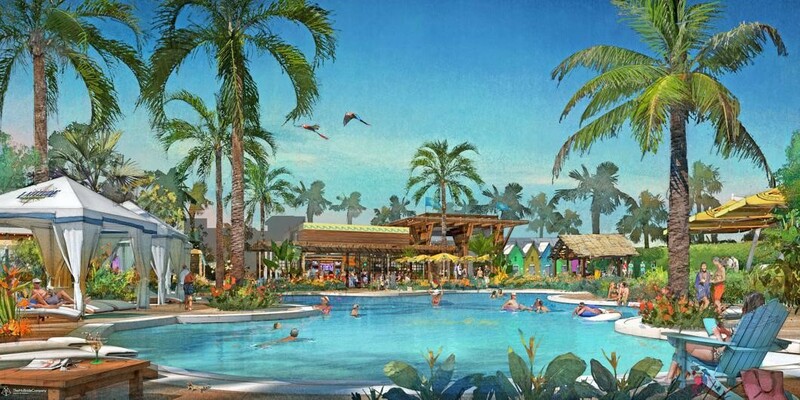 His Margaritaville lifestyle brand, which includes Buffett-inspired hotels, casinos, and restaurants, is about to open a chain of retirement communities. The first one will be located in Daytona Beach, Fla., and more locations are expected to be announced soon. 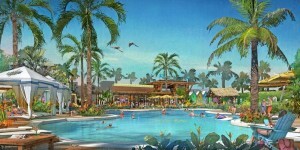 Latitude Margaritaville is being marketed as senior living “for those looking to live the Margaritaville lifestyle as they grow older, but not up.’’ It will essentially be a walkable neighborhood for older adults with a “no worries, tropical vibe’’ and will feature exercise facilities, an indoor lap pool, a band shell for live performances, and indoor and outdoor dining areas where Parrotheads can kick back and enjoy Margaritaville-branded food and drinks. According to the Latitude Margaritaville website, the sales center at Daytona Beach is scheduled to open this fall, and model homes should be ready early next year. You can sign up for more information here: www.latitudemargaritaville.com. This entry was posted in Blog Posts on March 13, 2017 by fitzlawboston. The rules are an attempt to restore order to a booming neighborhood that can feel like a giant construction site and a sense of fairness to a development and permitting process often shaped by influence and special exemptions. Proponents hope the code changes, which took effect last month, will bring a steep decline in variances granted by the city’s Zoning Board of Appeals, and in the community meetings, politically connected consultants, and development lawyers that usually come with them. Many senior citizens and other longtime residents have been pushed out of their homes in recent years as developers buy three-story apartment houses to convert them into luxury condominiums. Because of soaring real estate prices, the development corporation has not been able to buy a building since 2011, Brown said. This entry was posted in Blog Posts on January 9, 2017 by fitzlawboston. Looking for a Property Portfolio? One of Boston’s old-school landlords says he’s cashing in his chips. Again. James Batmasian, a South Florida real estate mogul who launched his empire in 1970 by purchasing a Cambridge three-decker, ¬recently put his 33 Boston-area buildings up for sale. 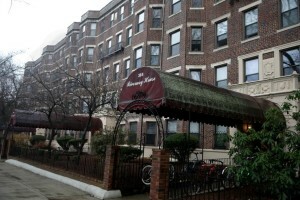 They house 444 apartments, in properties ranging from two-families in Watertown to a shuttered motel in Revere to an elegant 75-unit building on the Riverway in ¬Mission Hill. It can all be yours, for $166 million. This sort of move — putting an entire portfolio of properties on the market at once — is rare in Boston, where real estate empires are amassed over generations and usually remain in the same hands. Batmasian’s decision to sell could be a sign of the market nearing its peak, a chance for him to cash out at top dollar. Some rivals suspect he might just be fishing for a buyer at a too-high price, but happy to keep holding if no one bites. As for Batmasian himself, he says it’s simple: He left town decades ago and is finally ready to close the book on Boston. Batmasian, who has lived in Boca Raton, Fla., since 1983, said he gets to Boston for only a few days a year and wants to focus on a charitable foundation he recently started. Before he was one of the biggest real estate owners in the ritzy Florida city, Batmasian was a lawyer in Boston, having graduated from Harvard Law School. In the 1970s and ‘80s, he and his wife, Marta, began accumulating rental properties in Arlington, Cambridge, and Somerville. Their firm, Investments Limited, still manages them from a small storefront on Massachusetts Avenue in North Cambridge. After leaving Boston, Batmasian became one of the most colorful characters on South Florida’s real estate scene. Using the same buy-and-hold strategies he honed here, he accumulated a property empire worth more than $1 billion. He also earned a felony conviction in 2008 for tax evasion and served a brief stint in federal prison. He weathered the most recent real estate crash, as well as sexual harassment lawsuits by former employees. All the while, Batmasian has been collecting rent checks from a few dozen small buildings around Greater Boston. Now, though, Batmasian is fully focused fully on Florida, he said, and too old to have to worry about his scattered portfolio far to the north. But some would-be buyers who have dealt with Batmasian aren’t convinced he’s really exiting the Boston market. They say that several times over the past few decades Batmasian has listed his holdings for sale and has gone relatively far down the road in negotiations before pulling out of deals. It’s just his way of testing the market, said Carl Valeri, president of Hamilton Co., one of Boston’s largest privately owned landlords. Robert Eisen, a spokesman for Batmasian, acknowledged the portfolio has been up for sale before, and that there have been negotiations with suitors. But, he said, no prospective buyer ever agreed to Batmasian’s asking price. This time, Eisen said in an e-mail to the Globe, his client is “very serious’’ about selling. Either way, he’s likely to receive healthy offers, said Travis D’Amato, a broker in Boston for the real estate firm JLL who specializes in apartment building sales. Rents are surging on lower-priced apartments, he said, especially for in-demand markets such as Cambridge and Somerville. Some of Batmasian’s smaller buildings could be converted to condominiums and sold. Larger buildings might be spruced up to capture higher rents. There’s a lot of demand from big investors who want a piece of Boston’s housing market. Indeed, Batmasian notes, there’s nothing happening in the market that’s pushing him to sell. It’s just that the timing is right for him, he said. The timing may also be right for buyers. Batmasian said he received 40 calls in the first three days after putting his holdings up for sale. This entry was posted in Blog Posts on January 4, 2017 by fitzlawboston.